Pacquiao Wins 8th Title – The Pound for Pound king once again prove to the world that he is the best boxer of all time after beating Antonio Margarito so frightfully in a round – 12 match at the Dallas Cowboys Stadium this November 13 2010. Apparently, Manny Pacquiao won a unanimous one-sided decision in a blowout from the opening seconds of the fight just enough to capture the World Boxing Council super welterweight title before 41.734 boxing fans in the said stadium. 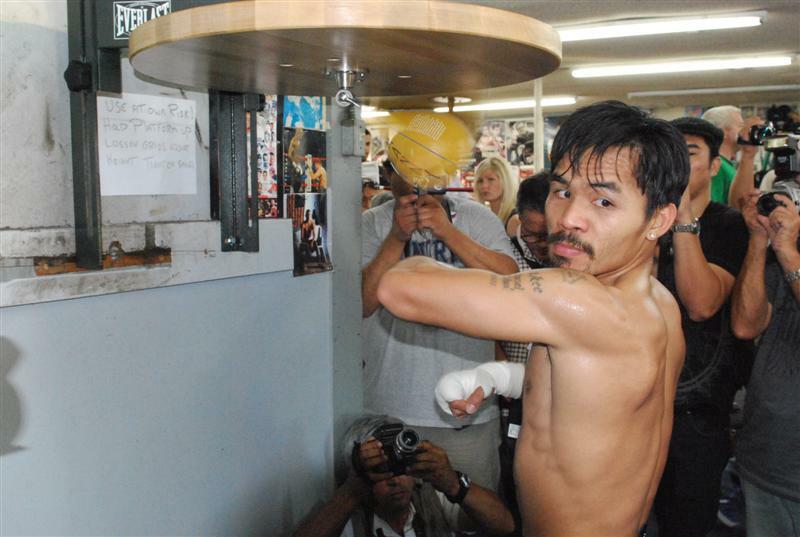 Pacquiao has won world titles at 112, 122, 126, 130, 135, 140, 147 and now 154 pounds. It was truly a blessed day for Pacquiao as he won the title belt coming from an opponent who had a 17-pounds weight advantage against him when the bell rang, 165-148, and was that 8th tile in his successful boxing career. Full details of judges scores includes – Judges Jurgen Langos had it 120-109, Glen Crocker had it 118-110 and Oren Schellenberger had it 119-109 for Pacquiao. Paquiao Vs Margarito results, after 12 rounds, a unanimous decision scored another win for Paquiao, this is his 13th straight win. Paquiao dominated most of the fight, though Margarito did get in some nice hits at times. At one point in the fight, Paquiao was looking to the ref to check on Margarito because of a his eyes being swollen and cut. Paquiao later said he felt for his opponent at that time. He also stated that Margarito was stronger than he had thought he would be. This was the first time Margarito has fought in the US since he had a one year suspension. Paquiao earned 16$ million and Margarito 6$ million. 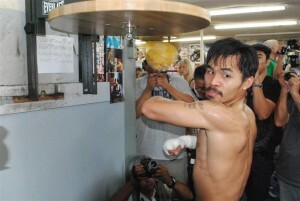 Now fans are wondering if a Paquiao and Mayweather fight will be coming in the future. Manny ‘Pacman’ Pacquiao dubbed as the pound-for-pound king and the pride of the Philippines made another boxing history today as he defeats Antonio Margarito of Mexico in a 12-round unanimous decision. Margarito’s face was stained with blood and punches as Pacquiao’s face remains untainted. The three judges for the Manny Pacquiao vs Antonio Margarito scores the fight: 120-108, 118-110, and 119-109. There were times when Margarito almost have Pacquiao cornered in the ropes and punches landing one after the other but with the pound-for-pound champions speed and good footwork he always managed to escape the Margarito offensive. After the singing of the Philippine national anthem and the Mexican national anthem and a performance by Nelly the well awaited match began. Each fighter sized up one another at first and then they released their explosive blows. Pacquiao throws 3 jabs, one lands to the body. Pacquiao flurries to the body, Margarito returns with a right to the head. There was no round that fans would doubt Pacquiao would lose to Margarito. In this fight the Mexican has all the advantage. Margarito had a 6-inch reach advantage and Pacquiao is way lighter than Margarito by about 7 lbs. Before the Pacquiao vs Margarito fight however an those who watched the weigh-in had some doubts on whether the lighter Pacquiao could defeat his opponent but today all of those were cleared. Manny Pacquiao won the WBC World Super Welterweight Title bout, which is his eight boxing title. This is a record which no other boxer was able to achieve in history. This entry was posted on Sunday, November 14th, 2010 at 6:48 pm	and is filed under Sports. You can follow any responses to this entry through the RSS 2.0 feed. Both comments and pings are currently closed.